The AmeriCommerce online system allows partial payments on orders. This is useful for large orders that multiple people make payment on. It is also useful in situations where a customer puts down a deposit and finishes payment later. Order Statement - A theme level page. 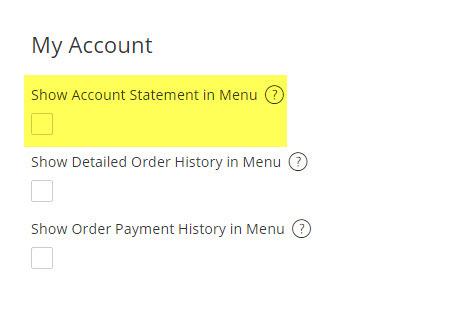 A customer can access this page through their My Account menu if enabled. To set up this functionality, we will first need to enable the option. Log into the admin panel, then go to Themes > Edit Theme > Global Theme Settings. Once here, enable the "Show Account Statement in Menu" and option. Once enabled, a customer can log in and go to the My Account page. Once here, click the Statement link in the left menu. You will be brought to a page that lists any order where the balance was not paid in full. 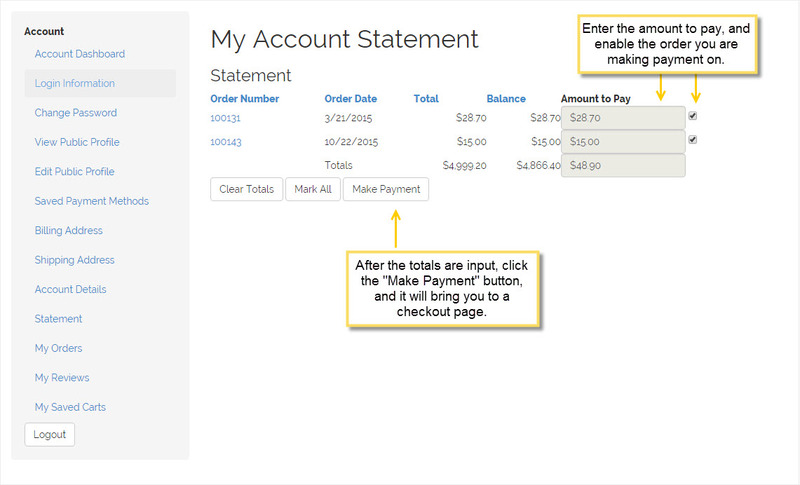 Now enter the amount to be paid, and enable the checkbox on the order itself. Once you click the Make Payment button, it will bring you to a checkout page so that you can make the payment. Note: This is a theme level setting. If you switch themes, you will need to go back to the Global Theme Settings and enable the option. The Order Statement is a theme level page, so you can add in additional HTML or widgets if you need to. To do this, go to Themes > Edit Theme > Order Statement in the admin console.